It's manga mania out there! Am I there only one who's noticed? L'Oreal's Miss Manga Mascara came out a few months ago, and it's really starting to gain popularity and I've spotted so many advertising bits popping up at every makeup counter with this stuff. At first, it all seemed a bit gimmicky to me: manga/anime-inspired lashes? How is that really any different than what my other drugstore mascaras can give me? But as I walked by a stand where these babies were on a preliminary sale, I picked one up and have been hooked ever since the first "pop" open of the mascara wand. As per usual, I choose the deepest black shade in a waterproof version. I often only opt for the waterproof version of a mascara as you never know when it will rain or when you'll get a splash of water on your face. Who wants black bits running down their face? 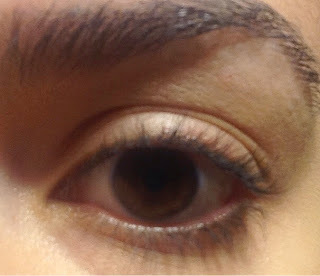 After about 2-3 coats, I find that it give me a lot of length, darkens my lashes and provides a lot of volume as well. There isn't any clumping, no spider lashes: it really does hug every individual lash. 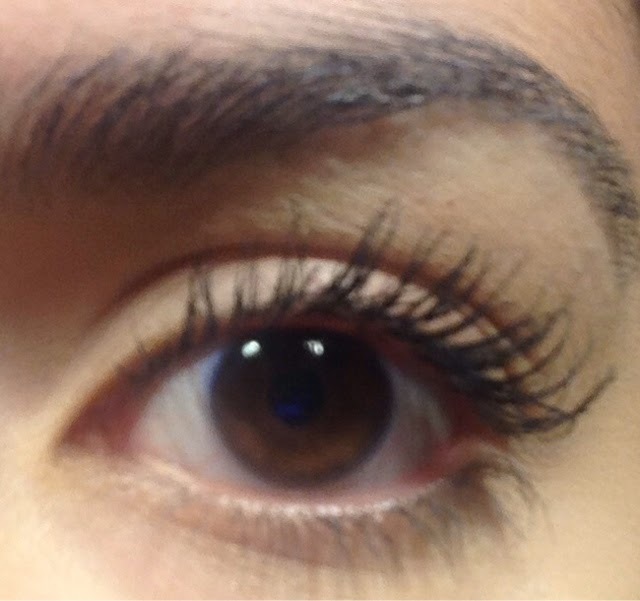 Basically, there's a big difference in my lashes after I've applied the L'Oreal Miss Manga Mascara. It tends to last about 5-7 hours and fades away slowly. If I wear it to work all day, I have to re-apply for a night out to get the same effect. The packaging is very cute: I like how it's duo toned [pink and black] and that one side is flat featuring the brand and product name. Detailed point: I love the "miss manga" font! Because one side of the mascara stick is flat, there is a "click" closure instead of just twisting until it's tight enough. However, this might be why the mascara dries out a little quicker than other brands. It doesn't affect the product or the effect on the lashes, but it's something I've noticed. The bendy wand was a huge selling point for this mascara, but I don't notice a huge difference in application or final effects. The wand is a great size and thickness to reach all lashes and the bend in the wand does help - although I wouldn't mind if it wasn't there. Would I repurchase this product? Absolutely, I'm already craving a trip to the drugstore to purchase a second one. I believe there's still quite a bit left in my tube now, however the dryness of the formula affects the ability of the mascara to perform well! Would you try the L'Oreal Miss Manga Mascara? It's amazing, definitely try it if you can get your hands on it! I'm a big fan of all things waterproof formula! It's possible! I always try going for waterproof, I never know what I'm going to be getting into and mascara running down my fall is always less than ideal.